If you are a travel enthusiast and think that you have visited most of the most beautiful places on earth, you are mistaken. There are hundreds of incredible and unexplored places in this world that haven’t been unraveled yet by humans. Some of these places look like they are just out of a fairy tale with their myriad colors and features. Here is a list of 25 such incredible places that you need to visit at least once in your lifetime. The Abraham Lake is an artificial lake located in Canada. 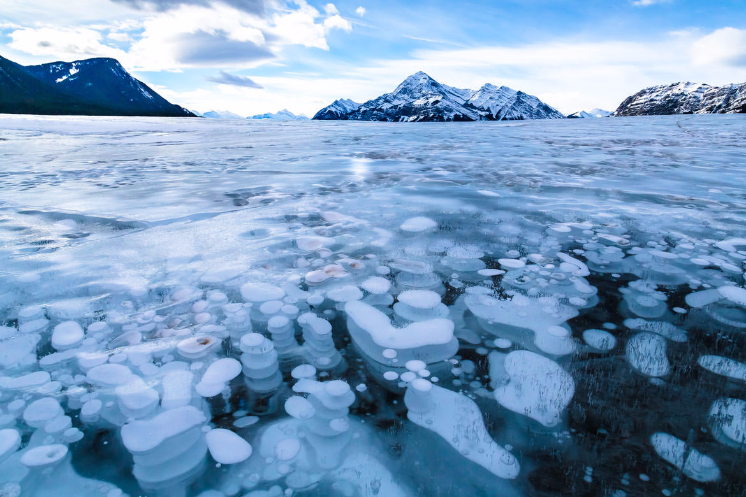 During the winter season, this lake becomes a well-sought after tourist spot because of the frozen bubbles that are found in the icy waters. These are methane gas bubbles that are emitted from the decayed plants settled under lake bed.